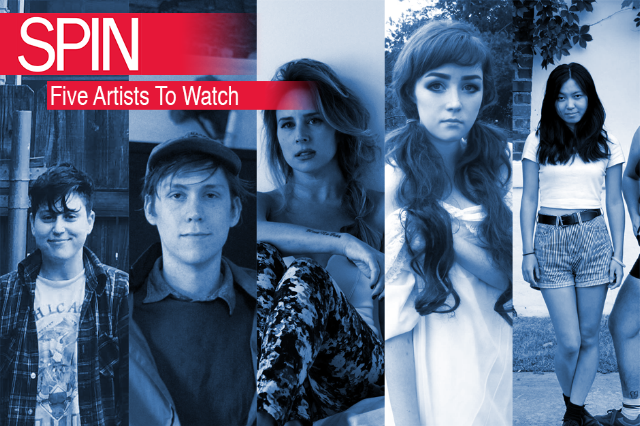 For October’s iteration of SPIN’s Five Artists to Watch series, there’s a U.K. singer-songwriter who’s refurnished her careers in the embers of Nashville’s fast-burning country scene, a Grimes-cosign set to release her first album via Claire Boucher’s record label, and more. Who: Emerging from New Brunswick’s DIY scene, Leslie Bear — under the name Long Beard with her bandmates — evokes imagery of quiet and intimate summer night rendezvous. Claiming that 2015 is the “the year of higher quality,” she leaves behind the tape hiss of her previous self-released bedroom EPs and takes on a brighter, more refined sound on her upcoming album, Sleepwalker, due this month by Team Love Records. Sounds Like: The flickering of weak, golden candlelight cast during a power outage. Sounds Like: Janis Joplin with a mandolin. Who: A bedroom-punk band from New York City, who — given their verge-of-tears verses — sounds like they’d be more comfortable hiding underneath a stairwell in upstate New York. Signed to Don Giovanni Records, Mal Blum’s about to release their fifth studio album, You Look a Lot Like Me, which comes produced by label stalwart Marissa Paternoster of Screaming Females and mixed by Philly DIY king Kyle Gilbride (Waxahatchee, Swearin’, Upset). Who: Dollanganger is the first signee to Grimes’ artist-cooperative (don’t call it a record label), Eerie Organization, after the Visions singer fell in love with her work upon hearing the SoundCloud demos that made her a minor Internet sensation. (Says Boucher: “It blew up my brain so hard that I literally started Eerie to f–king put it out because it’s a crime against humanity for this music not to be heard.”) That music shows up on Dollanganger’s debut LP Natural Born Losers (October 9 on iTunes) as a collection of ghostly, violent torch songs that are as insidious as they are inscrutable. Sounds Like: Johnny Jewel producing the bar singer from True Detective season 2.
Who: A reformed abstractionist who makes sparklingly clear guitar pop under his own name, Chicago resident Spencer Radcliffe used to traffic in dripping ambient compositions as Blithe Field; but as he’s picked up a guitar and started issuing solo recordings, he’s slowly crystallized his approach to shaggy-dog indie rock to a fine enough point that would make Doug Martsch (or maybe even Seurat) proud. His Run For Cover debut Looking In is as cold and direct as a shard of ice straight to the heart — but there’s still room for a freeform saxophone line or two. Sounds Like: The foggy, narcotized intersection between Built to Spill and Bedhead.